The online market is bubbling with confectioneries and bakery food items, giving the consumer ample choice to delight their taste buds. If you want to stand out from the crowd and showcase your goodies, these are the premium bakery WordPress themes you should go for. These themes are perfect for your bakery, deli, bistro or coffee shop. Display your mouthwatering menu, baked goodies, or gourmet coffees with these theme options. The right theme will help you display and categorize your delicious goodies, allow you to share your food stories and stand out in the crowd. 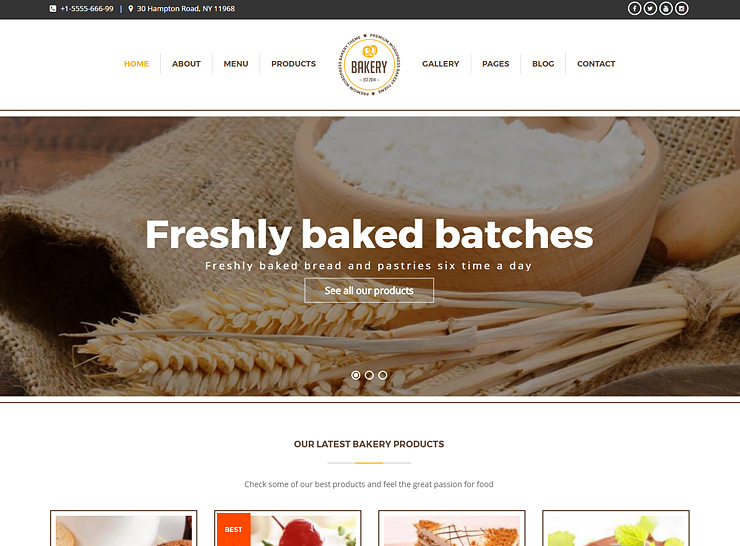 All these bakery WordPress themes themes require a self-hosted WordPress site. 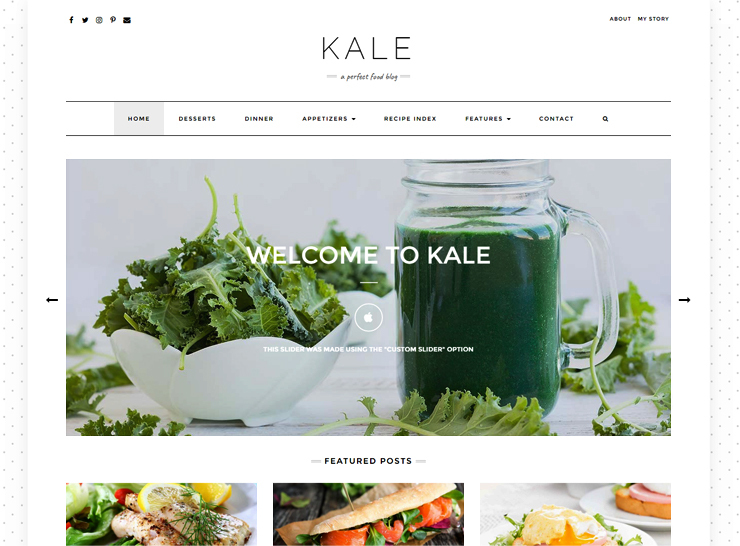 Kale Pro is an ideal, lightweight and aesthetically pleasing, multiple purpose theme. Even though it serves perfectly well as a food-related theme, it can be configured quite well for bakeries, delis, cafes and coffee shops. It provides exceptional homepage layout options with frontpage banners and sliders. You can add your own images and captions to user-defined sliders. This is an excellent feature that can house featured menu items or today’s dishes. With the recipe index feature, you can create multiple index pages that house your baked goods, menu items or specialty coffees. With WooCommerce, you can convert your site to an online bakery for your fresh goodies or an online menu ordering system as well. Kale Pro has a variety of banners, sidebar and slider options. It also has a menu of 600+ Google Fonts and unlimited colors. The theme integrates seamlessly with social media engines like Instagram. You can change the style of the social media icons to complement the overall look and feel of your site. 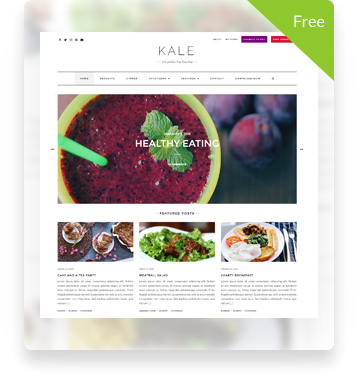 You can also use Kale Pro to place advertisements on your site with the built-in ad features. Kale Pro is a great choice for bakeries, bistros, cafes and coffee shops to showcase products and display their fabulous images. Divi is the ultimate design toolkit power packed with features sure to tantalize your senses. 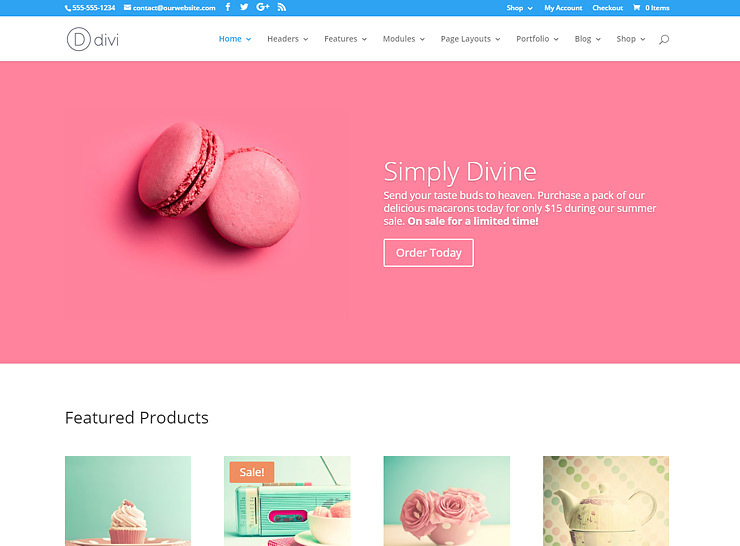 Divi can easily serve the purpose of a bakery WordPress theme based on its powerful set of features. The user can customize pages, colors, text, and spacing on all pages through the frontend editor. A frontend preview window is available for both mobile and tablet views to view any changes. You can save your favorite layout styles as a template in the built-in library. There is a wide array of ready-to-install templates available with the Divi Page Builder and from the community as well. The theme also offers great flexibility in grid based layouts. It is easy to create new rows, adjust column width, add, remove and make other changes. More than 40 content types are available including blurbs, contact form, dividers, video, video sliders, post sliders and price lists. Divi is widely used and is one of the most versatile themes on the market today. 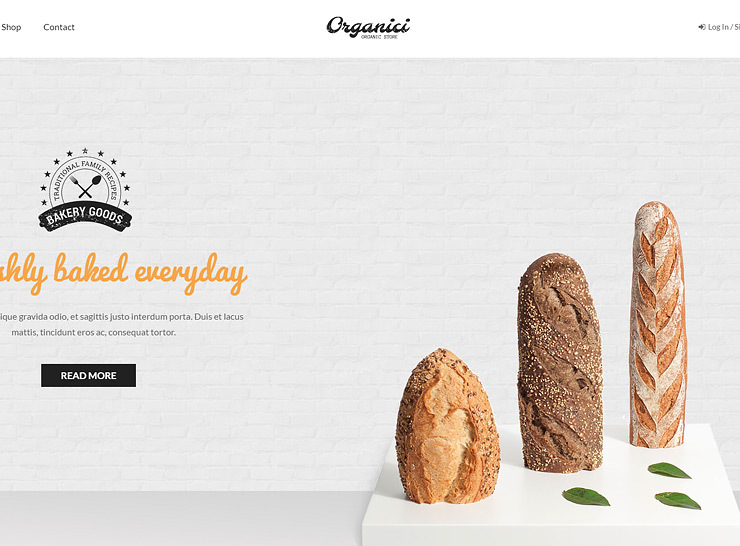 Check out a demo to see how you can use Divi for your bakery website. 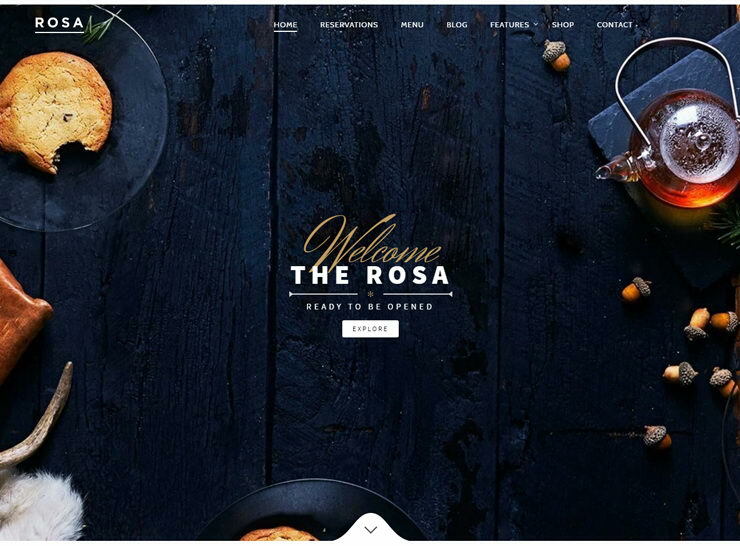 Rosa is a bold and adventurous WordPress theme for bakeries, confectioneries or any food related business. The theme is fully responsive, widget friendly and SEO ready. The theme has parallax effect and features a user-friendly menu builder, giving it a very professional outlook. Theme’s features also include menu composition and online reservation manager. With WooCommerce compatibility, the theme offers direct order booking as well directly off the menu. Rosa has a sleek and modern interface. It also pairs well with some top page builder options like Beaver Builder, Visual Composer, MotoPress and SiteOrigin. 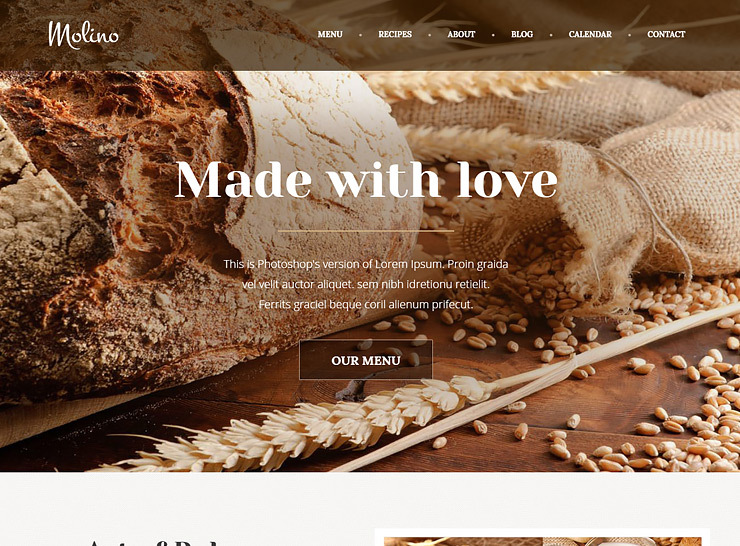 Molino is a food blog theme template available as part of The Core WordPress theme. The Core is built on the Unyson Framework, a multipurpose option for several types of blogs and websites. Molino is one template from this theme, handy for bistros, coffee shops, and bakeries. This theme template comes paired with Slider Revolution and LayerSlider for beautiful slider styling options. Molino has unlimited color options with 5 predesigned color schemes. It has stunning designs available with one-click demo installation. This theme offers events calendars, some fancy layout options and has its own backup feature. Highly responsive, WooCommerce compatible and SEO ready, this is a great theme to start with. 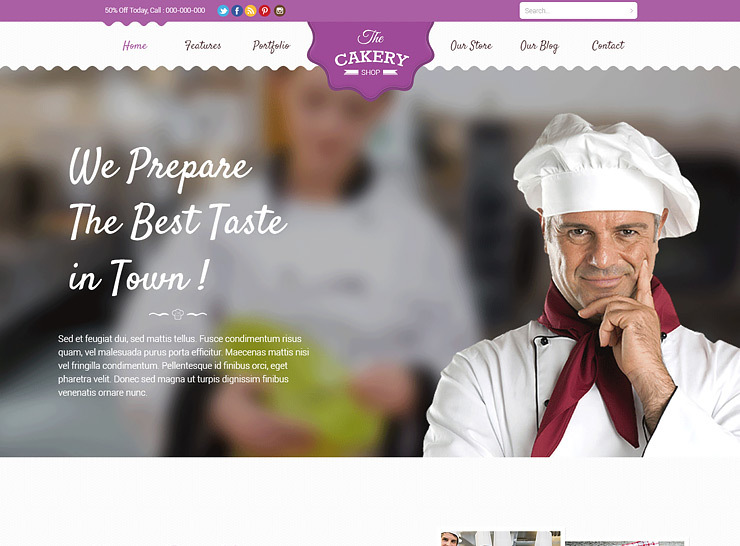 Cake Art is a beautifully designed WordPress theme for cake shops, bakeries, and related food services. This is a fully responsive and retina friendly theme with a powerful admin panel for making changes to layout settings. Cake Art features unlimited color schemes and compatibility with Google Fonts. This theme is also SEO optimized with microdata and tagging elements. The Live Customizer allows changes to be previewed for all post formats including for gallery and videos. The strength of its built-in panel comes from its Bootstrap 3 Architecture. This theme works great with Slider Revolution, Visual Composer, MailChimp and Contact Form 7. This theme is translation ready with RTL support and you can set your site up in your local language as well. This is a fresh and colorful bakery WordPress theme ideal for bakeries, cake shops, and other related stores. It is a responsive, retina friendly theme with compatibility with several popular plugins including WooCommerce. Cafeteria is equipped with a flexible Control Panel. This control panel enables you to change layout elements like colors, text, and fonts. It is packed with 6 colorful templates, a wide variety of shortcodes, for buttons, alerts and sliders, and widgets for social media and contact forms. For a fresh, vintage style option, this theme checks all the boxes. 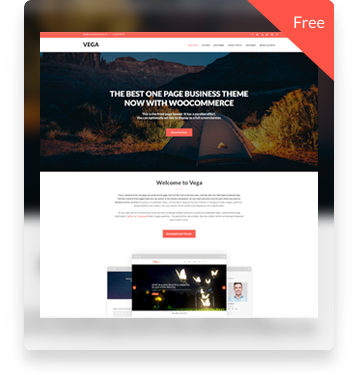 We recommend this theme for the novice user who is just starting out with an online eCommerce presence. 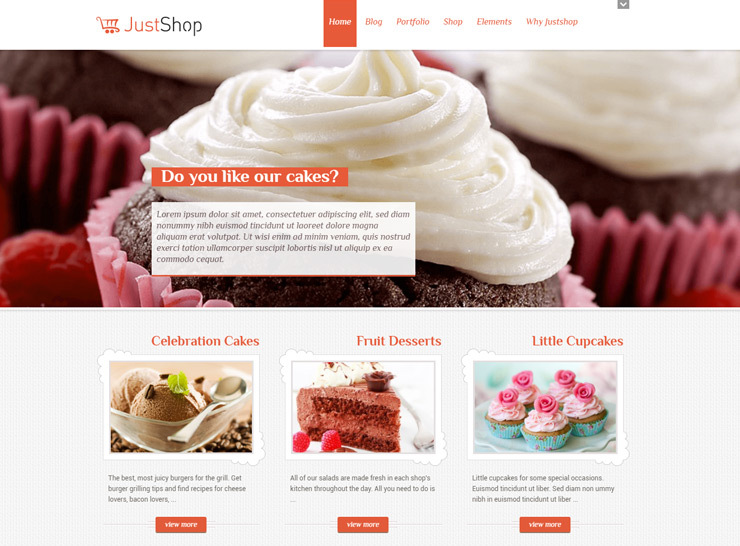 Just Shop is a widely used, industry specific WordPress theme for bakeries, cake shops, and confectioneries. The theme is compatible with WooCommerce and Visual Composer giving it great flexibility in design for eCommerce. The theme offers 6 color schemes, several layouts for the header, and many choices for colors, sidebar and featured post sections. You can add professional looking sliders to the website with the Slider Revolution plugin. 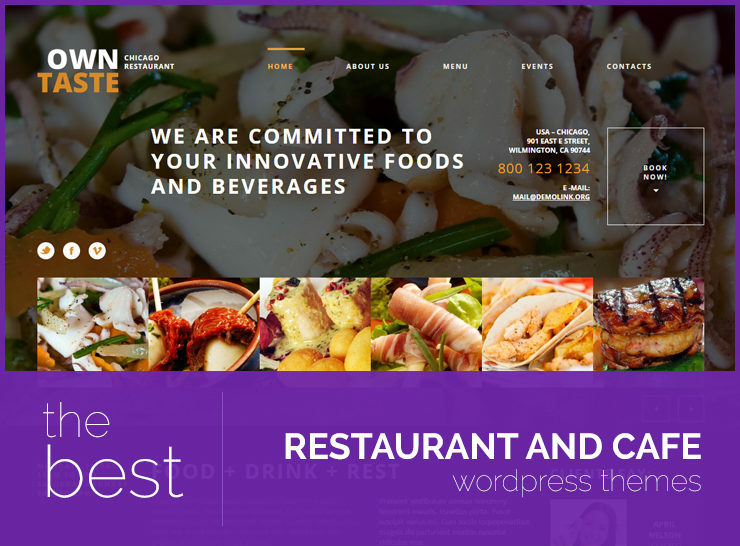 RTL ready and SEO friendly, this site is sure to appeal to the taste buds of your customers. 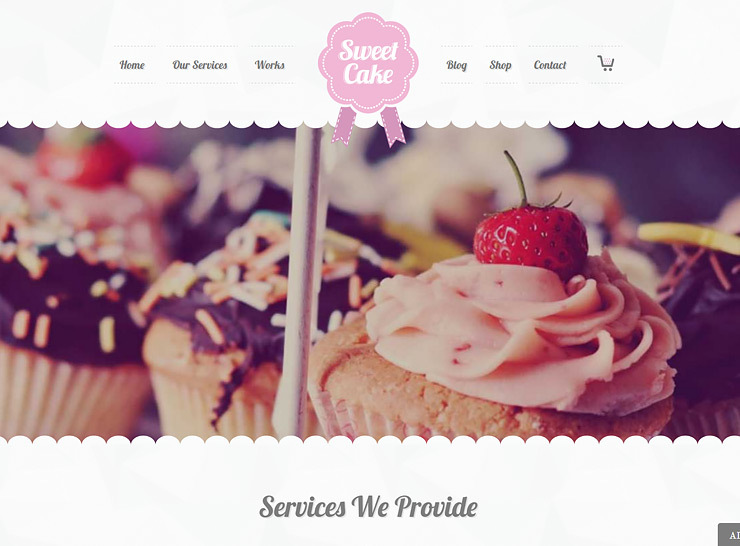 Sweet Cake is a pretty and well-designed WordPress theme for bakeries, chocolatiers, coffee shops, and other businesses with a similar niche. It boasts of 2000+ websites already using this theme. Its key features include parallax page composition, normal and mosaic style grids for displaying pictures and custom preloaders for retina friendly images. There are tons of predefined page layouts like for About Us, Services, FAQs, 404, Contacts Us and Request an Appointment. The theme works well with top plugins including WooCommerce, Visual Composer, Slider Revolution, and Google Maps. Sweet Cake is flexible and powerful as it combines the features of these key plugins. This is the perfect theme to start with for the savvy WordPress user. 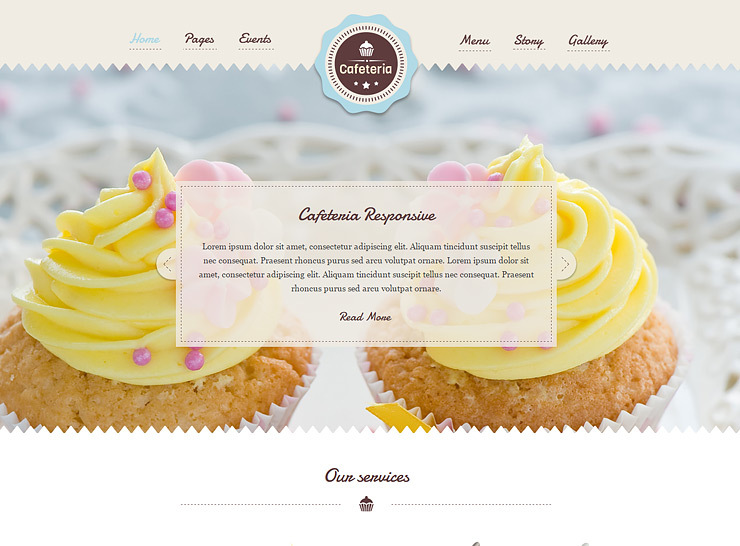 Cakery is an easy-to-use theme option for the novice user. It provides a basic, and pleasant theme with two layout choices to use from. 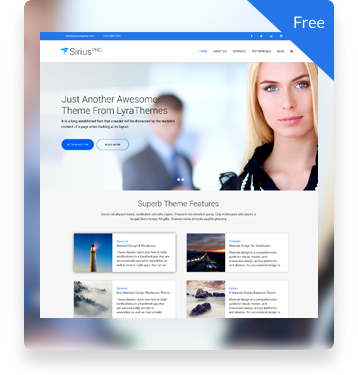 This theme integrates well with Visual Composer and Slider Revolution. This theme is retina friendly and showcases food related images quite well. It is translation ready and is compatible with WPML. The theme provides helpful documentation for the user to work with. 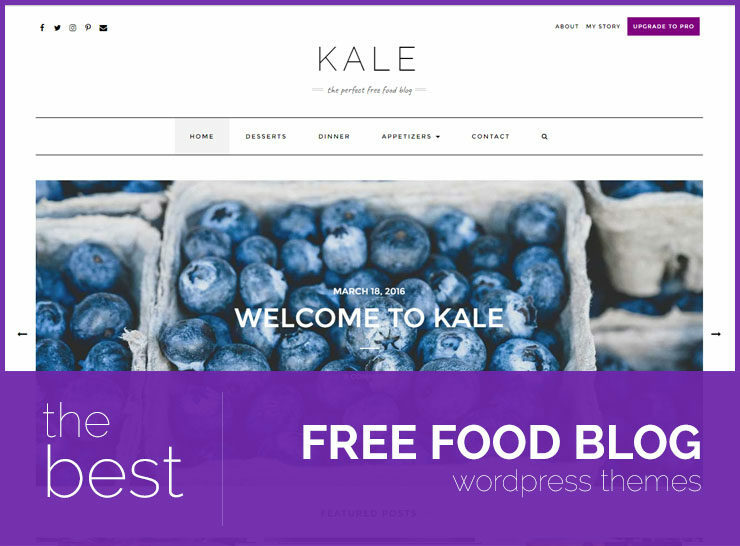 This theme is perfect for you if you are just starting out with WordPress and want to run your own bakery or café website. Organici is perfect for confectionery, cake shops, bakeries and related niches. This theme is designed specifically with images related to food items and confectionery in mind. This is a fully responsive and retina-friendly theme with a powerful mega menu for customizing layout composition. It includes unlimited colors and fonts for displaying featured content. It packs 6 homepage variations, 6 header variations, flexible menus and 2 different post types. Organici is 100% compatible with WooCommerce giving you the option to sell your goodies online. This theme packs Slider Revolution and Visual Composer in the package. With unlimited color and font options, this theme is perfect for your shop. 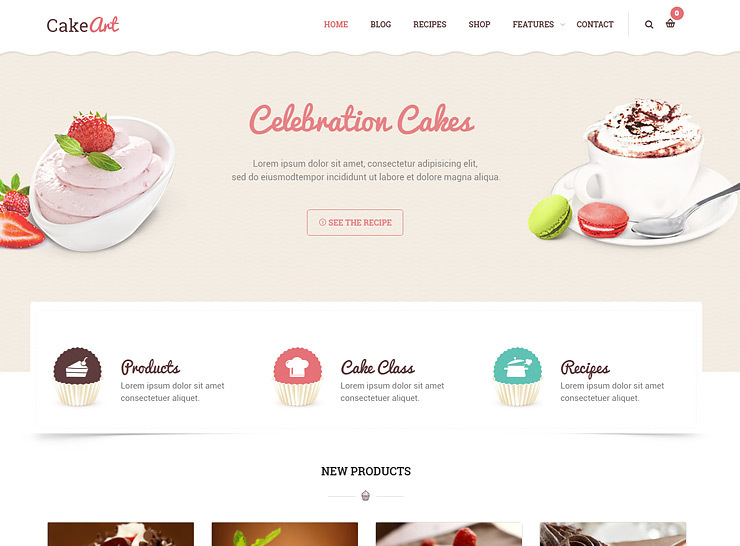 This theme is a good investment if you intend to run your own bakery or cake shop online.